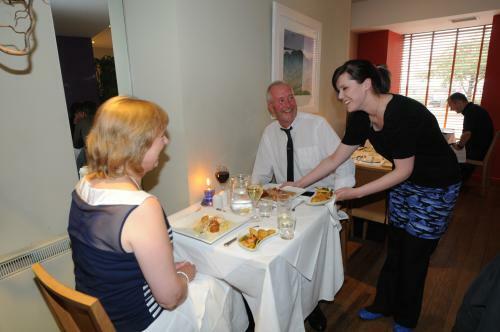 Digby Chick Restaurant is situated in the heart of Stornoway. The atmosphere is relaxed and the accent is on good food, and it bustles with locals and is a must for anyone visiting Stornoway. Local chef and proprietor, James Mackenzie, uses the finest quality local produce to produce seasonally changing menus. Local fish and shellfish are a specialty of the restaurant with daily fish specials available with whatever has been landed that day. 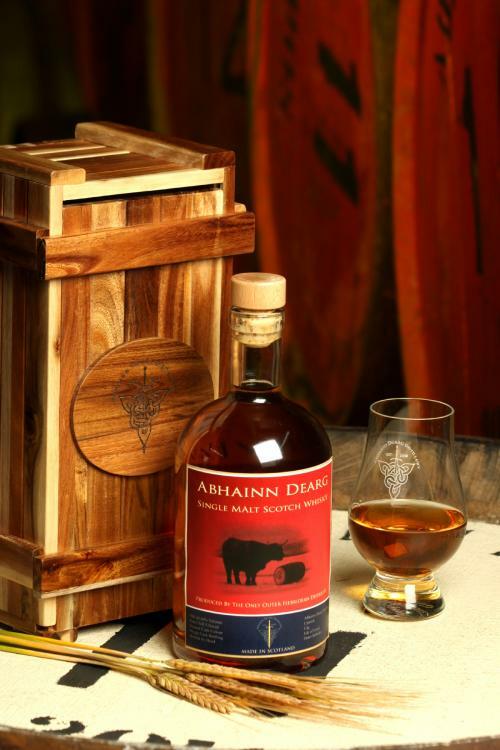 The Outer Hebridean shores provide a diverse and superior larder;these are cooked with flare and originality. 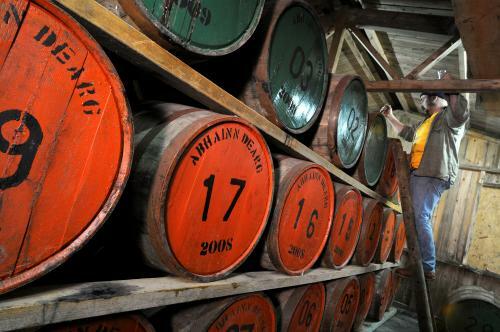 A wine list, sourced from around the world, compliments the menu, with a whisky menu offering a selection of Scotland’s fine malts. Stornoway Golf Club is the only golf course on the Isle of Lewis, it's 18 holes are well designed and professionally maintained with panoramic views of Stornoway Harbour and the Minch. At only 5252 yards it may appear short by modern standards but there are plenty of hazards for wayward shots including mature trees, heather and gorse. 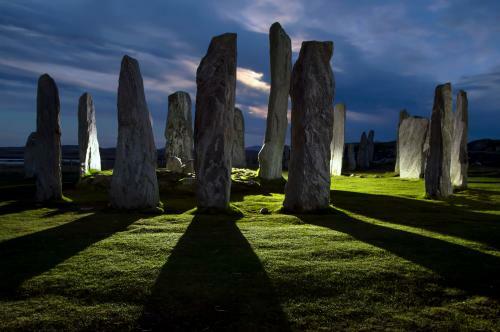 The Callanish Standing Stones are one of the most complete stone circles in Europe. The stones are made of Lewisian Gneiss which is one of the oldest rocks in Britain and dates back 3000 million years. 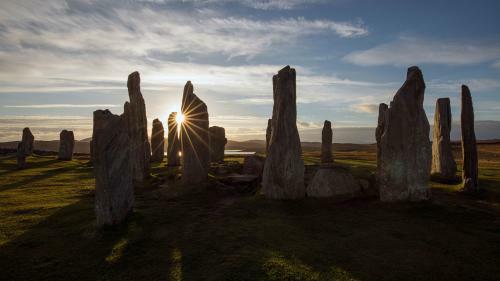 The most atmospheric time to be at the Callanish Stones is at dawn or just after, or at sunset or shortly after, especially in mid winter. Good photos though are possible throughout the rest of the year. A photograph taken positioning a rising or setting sun behind the central stone results in a stunning image. You will be blown away with our beaches. Miles and miles of stunningly beautiful white shell sand, usually deserted, and turquoise clear water. You might imagine you have found yourself being on a tropical paradise. 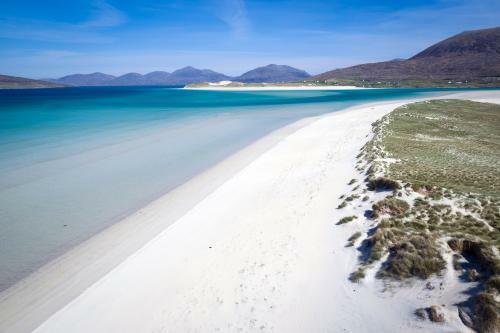 Choose from the beaches at Dalmore, Cliff, Valtos, Ardroil, Garry and Europie on Lewis. On Harris the most famous are at Luskentyre,Scarista and Seilebost. These are world beating beaches which arguably cannot be bettered. The new Museum nan Eilean opened on 14 July 2016 in a modern purpose built extension to the restored Lews Castle. Exciting new galleries look at the stories of the Islands and Islanders. Discover how the distinctiveness of the Outer Hebrides is shaped by a unique combination of land, sea and people. Hear details about different people’s lives;the diversity of experience, opinion and perception of living life at the edge of Europe. Examine how people have lived and worked from the earliest times to the present day, how their culture is expressed through the Gaelic language, religion and community life. 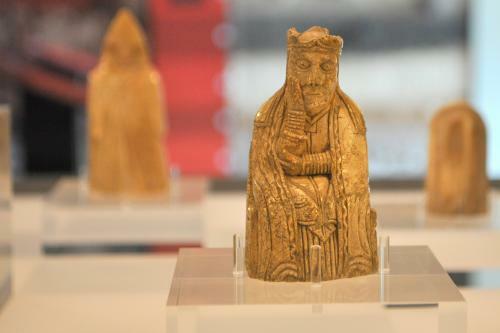 Several of the iconic Lewis Chessmen are on permanent display.